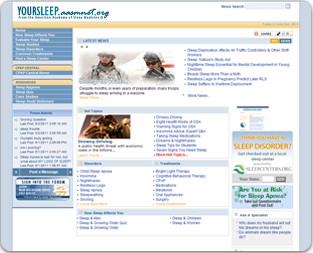 The American Academy of Sleep Medicine does not give medical advice. 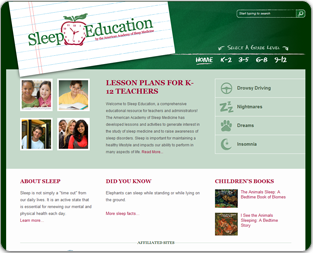 All content, including text, graphics, images, and information available on or through this web site are for educational purposes only and is not sufficient for medical decisions. The content is not intended to be a substitute for professional medical advice, diagnosis or treatment. NEVER DISREGARD PROFESSIONAL MEDICAL ADVICE, OR DELAY SEEKING IT, BECAUSE OF SOMETHING YOU HAVE READ ON THIS WEB SITE. NEVER RELY ON INFORMATION ON THIS WEB SITE IN PLACE OF SEEKING PROFESSIONAL MEDICAL ADVICE. You are encouraged to confer with your doctor with regard to information contained on or through this web site. After reading articles or other content from this web site, you are encouraged to review the information carefully with your professional healthcare provider. The proper course of treatment for any patient can always vary from the medical treatment information obtained from other sources, due to the actual condition and/or complications of patients, so you should always consult your own physician before using any medically related information presented at this site or elsewhere. It is understood that you need to visit with your own healthcare provider, in order to reach a diagnosis for treatment.